Private 5th Street Public Market Lot adjacent to the restaurant. Celebrating life with locally grown and gathered food, prepared witch care and served with elegance and flair. Whether it's a luncheon, tasteful business gathering, stylish cocktail party, exquisite dinner, fabulous wedding celebration, rehearsal dinner or bridal shower, the attentive staff will bring the pleasure of dining at Marche to the event. Exclusive catering at the Jordan Schnitzer Museum of Art at the University of Oregon or any other location of choice. 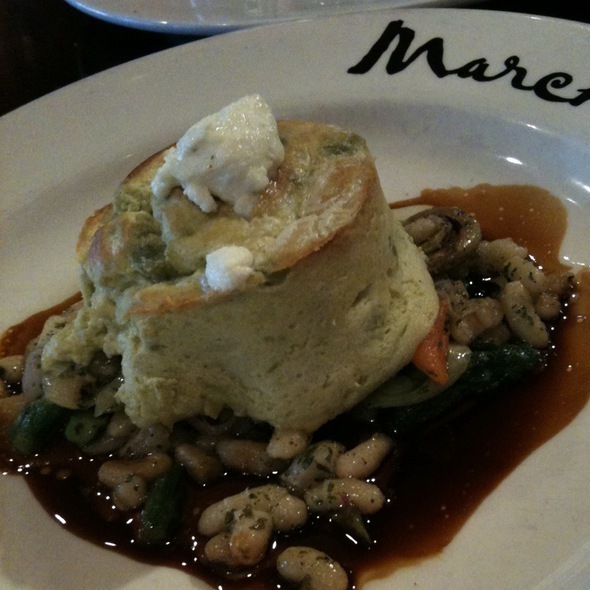 Marche, located in Eugene, Oregon, opened in August 1998. The restaurant, which seats 80 guests, has an exhibition kitchen featuring a beautiful wood-fired oven. There is also a stylish bar and a large outdoor dining area, covered with awnings and umbrellas and surrounded by a garden of herbs and edible flowers. Marche takes its name from the French word for market – a word that describes our location in the bustling 5th street Market and more importantly, our philosophy of cooking. The menu is based on the foods one would find at a farmer’s market: fresh, seasonal, and regional. Marche is committed to using only those ingredients that are at their best, so our menu evolves as we move through the seasons of the year. Marche also believes in using the highest quality and most healthful ingredients available and to that end use organic, free range, and chemical free products. The culinary technique is French-based: intensely flavored and simply but beautifully presented. Great restaurant, our #1 in town. 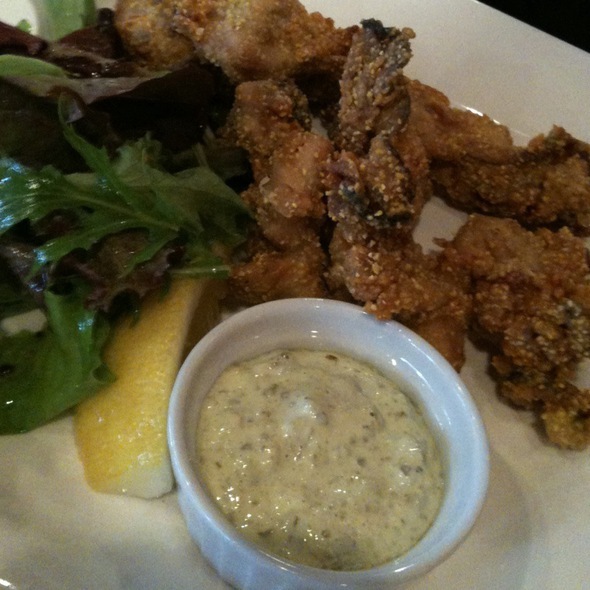 Always consistently delicious food, attentive service and nice atmosphere. We enjoyed the dinner! The waitress was excellent. Brussels sprouts were delicious! I enjoyed the sole in parchment- would have lived a few more clams! Only had 2. Squid ink pasta was good, but again a bit more crab would have been great. Overall it was. Nice experience and we will go again! Can’t beat those hamburgers and frites! Good food and nice location. Always a pleasure to dine here. Expensive for Eugene! Consistent, which I really like when you want to count on a great meal, since you will be paying a premium for the meal. Our server was wonderful and accommodating. The ambience was perfect for a rainy Sunday brunch- food and cocktails sublime. Excellent food and service. Always pleasant to sit along the patio window wall inside when the weather outside is very "Oregon"! Enjoyable; food delicious and service very good! Will go there again! 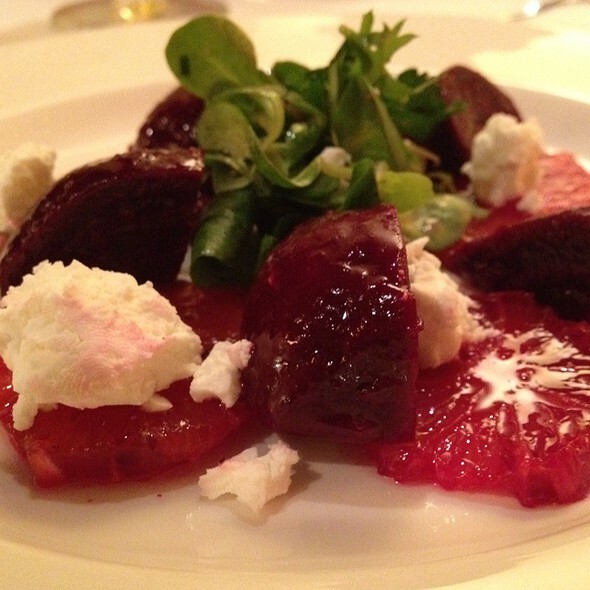 Beet salad was excellent! Authentic- like being in France! 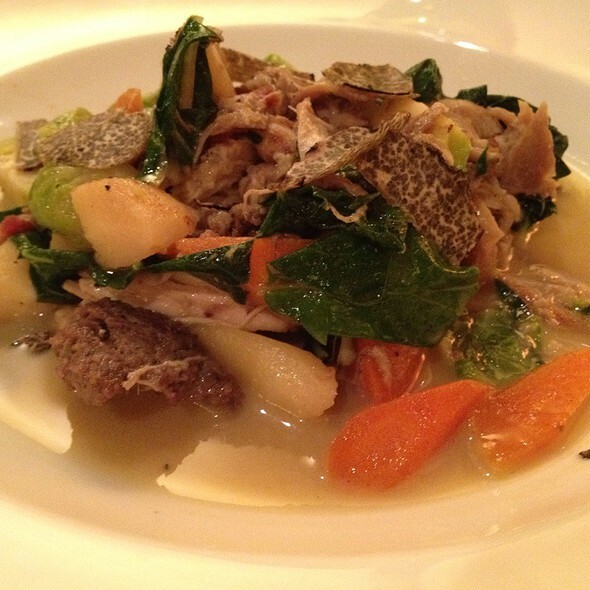 We seem to have gotten in on the end of a seasonal menu and the food is wonderful, flavorful and very well made. The celery root soup with arugula pesto was creamy, thick, tasty. The appetizer was a pork meatball wrapped in cabbage with a vegetable pure, enough for a main course, but on the menu as an appetizer. The salad of winter greens had a beguiling sweet salad dressing that worked very well. The pork and dumpling main course was very tasty, well=made and too much for us to finish. An altogether very satisfying meal. The vermouth aperitif was unusual but delicious and the still Rose on offer by the glass had a wonderful salmon color and great off dry flavor that accompanied the meal well. Our waiter was friendly, quick, but unobtrusive. Highly recommended! Having been to Marche before and loved it, we were disappointed this time. We went for Sunday brunch. The food was as follows: eggs benedict - adequate, not very hot; buckwheat crepe with fried egg - burnt crepe and the egg was hardly even sunny side up though we had ordered over medium. Our waiter brought another fairly quickly, but forgot to bring fresh silverware, having taken the previous lot with the unacceptable food. We were seated quite near the kitchen, and it was very noisy - it sounded as if someone were breaking up ice - maybe they were scraping the skillet! We ordered 2 coffees - 1 arrived very quickly, the other took more than 5 minutes. Not up to the standard we had expected for the price! I was traveling south retuning home from Portland and I like to eat well. This is your place...! Great with a large group. We had brunch which was fresh and nicely done. Service was a tad slow. What a let down. I was looking forward to coming here for so long and instead it was a complete disaster and made me look bad in front of close friends. Cold eggs Benedict. A server that forgot about us. And we waited for our food for 53 minutes, ridiculous. I understand local food means good food but Marche changed my opinion for the worst. The Tajine and egg dish was potato mush with an egg on top, no flavor at all. I felt like I was eating baby food. And for the amount of staff that was there that was truly disappointing, the place was only 30% full so there wasn't even an excuse for being too busy. I recommend you send your staff to Bouchon in Yountville CA to get an idea of what I was expecting. Once again Eugene gets in the way of fine dinning and the result is sad bland food. Marché was perfect. Hands down delicious, and excellent service. Fresh produce, great local wine list, and delightful flavor combos. Great food. Superb service. Am looking forward to going back to try other dishes. Wonderful service, delicious food, great companion. What more could you want? Everything was good. The Pork & Truffle Parcels and Ox tongue were both incredible. Everything was fantastic, we will definitely be back again soon. Courses were spaced perfectly time to enjoy each one but not to long that the wonder what happened. Desert line up was perfect and very tasty! The only negatives were (1) the sun was blinding through the glass doors and there was no window shade-no offer to move us and (2) Server was spread pretty thin. It was a perfect place to celebrate the beginning of my sister's wedding week. Thank you for a wonderful brunch menu that met the needs of guests ages 12 to 88. Service was perfect and the food was amazing! We got in early on Marche’s new seasonal menu. Every item we ordered was top notch as usual. The new pickle plate was fabulous. All the dishes we ordered were well prepared and delicious. Drinks and wine always wonderful. I wish I had had room to try the unusual sorbet! Don’t miss this menu! It was an unusually good night for food. The soup, a brussel sprout/apple puree was not just interesting but excellent. Both hors d'oeuvres, the smoked trout beignets and the cacio and pepe pizzette were impressive, the beignets in particular. The squid ink spaghetti with dungeness crab was a little salty and the black cod with winter citrus and fennel was well-prepared but a little bland. We did have an uncomfortable time with the wine. We ordered a Cornas; at $75 a bottle it was troublesome when it was clearly acidic. We sipped and sent it away. The experts in back sent the waitress back to say that the wine was as it should be and that the acid would blow off if given time. I replied, "You can charge us for it but we are not going to drink it." We ordered the Five Star Cellars cabernet, which was fine. It was only when the check came that our waitress told us that they thought they could sell the wine at the bar and so would not charge us. A good syrah is rarely if ever acid. The best service would have involved settling the issue before rather than after dinner. I would never order an expensive wine at Marche again. We'll probably stick to glasses from now on. Milhail, especially, as well as the whole staff extended incomparably fine service. Thank you! All 4 meals were delicious! The Pork Chop seemed to be the favorite, but the duck and the sole were also very good. Service was prompt and attentive. Always a wonderful experience--terrific server, good food, a plus in all ways! Food was wonderful, service was terrific and the value, given those things, was incredible. Highly recommend. We waited over an hour for our entrees. When we inquired our server said the kitchen was backed up. We would have been more understanding had we been made aware of this when we sat down. If it snows they will Be closed. 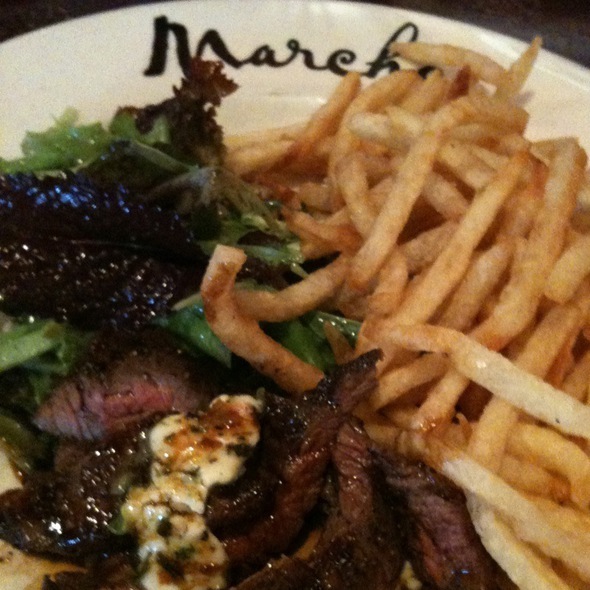 We love Marche and go here for all our special occasions. We were unfortunately disappointed this time with the service. It just wasn't attentive as we are accustomed at your place. We waited longer than typically for water, cocktails, bread, food. Truthfully, we felt a bit left out...and we never feel that way there! My hubby is vegetarian and if often sad by the single option he has for an entree. Because he has had the tagine several times, he just ordered the 3 side veggies. Of course, we will be back, so I'm sure there were issues going on. Three of us had brunch. There was a wide choice of foods, leaving each of us uncertain about what to choose. The cafe au lait was delightful. The fish platter was various and satisfying. The crab cakes with poached eggs were less compelling--too much sauce, crab not equivalent to what we get at home. All told, however, a good Sunday brunch option--not a buffet but an enjoyable meal. Limited menu with fancy words! Expensive wine prices. We had high hopes and it was just ok. I had the steak frites and it was solid. My dining companion had the sole with beurre blanc sauce and it was so-so. The sauce was watery and did little for the dish, in fact it may have actually detracted. The Brussel sprouts were excellent. Steak tartar was very good. We were hoping for escargot...not on the menu. This is a French restaurant, right? That seemed incredibly odd. Anyway, I probably will not go back. Food was fabulous and would definitely eat there again! Marche' is always an exquisite experience. Server was extremely well informed and suggested a wine that we loved. We were fortunate enough to enjoy the special Beet Salad and the Clams and Chorizo as appetizers along with the Roasted Black Cod with citrus and Pan Roasted Soul. All were 5 star and amazing. Excellent dinner. Service was great. Blood orange margarita was amazing. Perfect Valentine's dinner. Thank you! Wonderful food and service on a busy Valentines evening. Everything was special. Highly recommend. One of the great Oregon restaurants. Everything is prepared with care using the best ingredients. Great service, great ambiance. This last visit: The food was phenomenal.